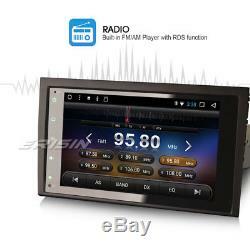 8 android 8.1 dab + car radio gps navi rds for audi a4 b7 rs4 ss rs4-seat exeo. This unit is the best android unit on the market, the most functions can be compared to your smartphone. 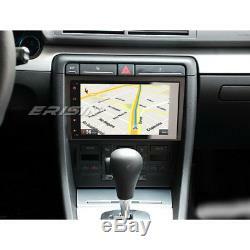 The newest 8 all-in-one design for audi a4 cars with flat frontpanel and pure touch-buttons. (it cost gbp30 in the market). Adopt the newest android 8.1 Obo os, 1024600 hd capacitive touch screen, octa core cpu, 2gb ram and 32gb internal storage, support extended 3 usb stick up to 332gb. Built-in dab + system, just connect with our dab + box to use this function. Built-in tpms app for display depressure monitoring system, just connect with us to use this function, and built-in dvr app. The records will be saved in usb storage automatically, and you can record this record directly. 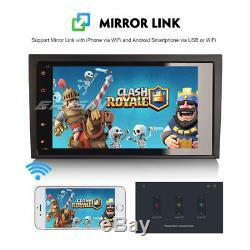 Mirror link support for iphone and android smartphone. Support torque pro (obd2 & car), you can connect to elm327 bluetooth obd2 scanner tool to use this function. Most popular and strongest function. Support 1080p videos / live images / 2160p photos, pdf / word / txt / excel, audio / video / photo media player, internet surf through 3g / 4g or wifi, support google maps and free offline maps gps navi, get access to thousands of apps, games on the google play store, keep connected through twitter, facebook, gtalk, gmail, wechat, skype and other services, play popular games like ninja fruit, feed the candy, angry birds, big fish, air attack .. Radio, rds, bluetooth, usb, cam-in, steering wheel control, change panel light colors at will, live wallpaper, diy wallpaper. Note: this unit has front panel size. 236mm (top width) 128mm (high) 230mm (bottom width). Super wide screen with flat frontpanel and pure touch-buttons --- our unique design. 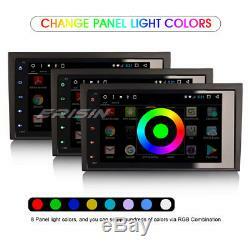 Five-point capacitive touch screen, 1024600 hd digital screen. Internal memory, support extended 3 usb stick up to 332gb. Diy main menu display: drag search bar, music player, apps or other bookmarks on main menu to display. Built-in clock and calendar, adjustable clock / date / week / time zone, can use network-provided time. Multi-languages: it has more than. To select, just check it in our pictures. Built-in dimmer, can choose brightness mode to light / dark / auto and adjust brightness level. Change color panel at will, you can setup hundreds of colors via color-app. 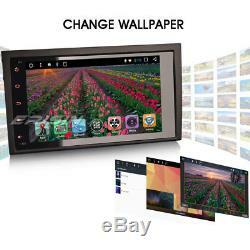 Change wallpaper at will, you can choose wallpaper from built-in 10 pictures and 3 live wallpaper, or diy external user's picture. And support external 3g / 4g internet, 3g / 4g dongle is not included. 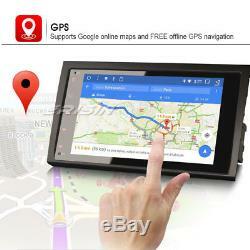 Support Google maps online navigating, you can use GPS navigation if you are in internet. You can use free offline maps navigation. Support android multimedia player, it can play music / movie / photo from local disc or usb / sd. Online entertainment, online support video, tv, movie, music, radio, youtube, yahoo, msn. The records will be saved automatically in a flash card / sd card / usb storage and you can play this record directly on this unit. Just connect with a tpms product through usb to use this function. 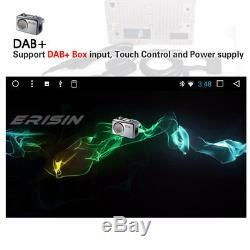 System, just connect to dab / dab + box with usb port to use this function. (dvb-t / t2, atsc, isdb) input, touch control and power supply. Rear view camera input and reverse trigger control. Support steering wheel control, hand brake control. Electronic anti-shock, last position memory. Es8284a 8 octa-core capacitive android 8.1 because multimedia player gps / wifi / tpms / dvr / dab + ... General - power supply: 12v dc (allowance range: 10.8-14.5v) - max. Read and edit office software: yes, word support, excel, powerpoint, pdf, audio txt - format: mp3, wma, mp2, ogg, aac, ma4, flac, ape, wav etc. Could play via song list - record: mp3, wma - other: lrc synchronized display; id3 search; search by files; album picture; user-defined audio effect - audio ic: global top cirrus ic, audio decoding - snr: noise rations: = 90db video - format: support avi h. 264, divx, xvid, rm, rmvb, mkv h. Asf, ts, tp, 3gp, mpg ect. = 30 formats, playing internet video directly (while downloading) - play: up to 19201080 pixels, 30mb. Play by revolve, powerpoint support 40964096 pixels - apk install: support android package installer - support torque pro (obd2 & car): yes, you can connect to bluetooth obd2 scanner tool to use this function - support mirror link function: yes, support screen mirroring from iphone and android smartphone setup - network & internet: wifi / data usage / portable hotspot / vpn - apps & notifications: running apps display / force stop / uninstall, notifications / default apps - display: brightness level, wallpaper, fashion brightness, forced app orientation and font size - wallpaper: wallpapers, wallpapers, wallpapers, quicksilver, wallpapers, wallpapers, soundtracks internal storage and connected device storage - memory: total memory and used memory - location: mode / type / app-level permissions / scanning tings: brake setting, reverse trajectory, reverse line ruler, steering wheel, navi application, memory start navigation, speech, shutdown delay, update, system update, factory reset, extra settings - extra settings: yes, code is 123456, select radio region, panel keysr, enable or disable panel light follow headlight, key update, disable radar etc. Google settings: yes - system: languages ​​& input, date & time, developer options, about device - languages ​​& input: more than 180 languages ​​and choose input method - date & time time zone - developer options: yes, locked - eq mode: normal, jazz, pop, classical, rock, news, urban, techno; zone: subwoofer, loud and balanced. Input - to video in: one - rear view video in: one - external microphone in: one - to audio in: r / l - dab + box in: one - car dvr in: one - radio antenna in: one - gps antenna in: one output - video out: two - audio out: en / fl / rr / rl / center - surround stereo out: 545w - subwoofer out: one accessories - 1user's manual en français - 1power cable with quadlock harness - 1power cable with iso connector - 1special canbus decoder box - 1rca audio and video adapter cable - 1max adapter cable - 1in to fakra radio antenna adapter - 1wifi antenna - 1gps antenna. Please pay your item in 5 days after your won. We will send it back to our cost if this item is defective as report. (2) any damages caused by improper packaging when buyers return the item to us. (3) if the item was disassembled or repaired by unauthorized person. We work from 8:30 am-18pm (sunday-friday) hk time except festival. All the emails will be replied in 24 hours except saturday and festival. Erisin has 8 years'experience on multimedia system field, very professional technician and customer service team, and we have many drop shippers all over the world. If you are ever unsatisfied, however, please let us know. We will do our best to help. Waterproof solar light spot 6-led indoor outdoor garden path pond solar lights. Listing and template services provided by inkfrog. 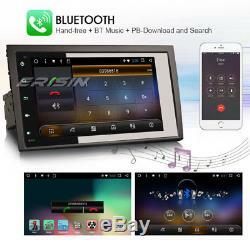 The item "8 android 8.1 dab + car radio gps navi rds for audi a4 b7 rs4 s4 rs-e seat exeo" is on sale since Tuesday, December 18, 2018. 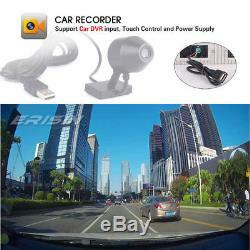 It is in the category "auto, motorcycle parts, accessories \ car radios, hi-fi, video, gps \ gps, navigation \ integrated gps ". The seller is "autodiypart8" and is located at 1 year eu-warranty. This item can be shipped to the following country: european union.